The insurance industry is experiencing a convergence with technology that is transforming the way it develops products, underwrites, prices and sells policies, and services its customers. This change can seem disruptive, so it’s critical that insurance companies better understand how technology and digitalization can be an enabler and help them succeed in today’s business environment. In a recent poll conducted by Munich Reinsurance America during a National Association of Mutual Insurance Companies Insurtech trends webinar, insurance industry participants were asked to name the top three technology factors they are confronting. Of the roughly 350 respondents, 82 percent named data analytics as a top concern followed by improved customer experience (71 percent) and new products/services (61 percent). Insurance companies that can successfully navigate each of these concerns will have a much greater chance of succeeding in today’s highly competitive business landscape. Historically, the insurance industry has operated more slowly than less regulated industries in terms of new product development. Since insurance rates have to be risk-adequate, fair and nondiscriminatory, the rate assumptions underlying these new products were based on the sound mathematical analysis of the past predicting the future. Today, the insurance industry is being confronted, at a seemingly ever-increasing pace, with new exposures that require the rapid development of new insurance products and service solutions. To meet this demand, the industry increasingly needs to rely on new and different data to come up with the right coverage—and the right pricing—for exposures such as cyber risk, the sharing economy, the gig economy, intelligent homes, autonomous vehicles, to name just a few. Ten years ago, people didn’t think, “I need an insurance product to help protect me when I rent my home to strangers or use my personal car to drive people around for a fee.” Another example of a risk not previously contemplated by the insurance industry is the “intelligent home,” which is equipped with sensor technology and represents an entirely different exposure than what is reflected in past loss experience. Insurance products and services need to catch up with the fast pace of change—and data analytics and data science can help. For insurance carriers, the differentiators going forward will be the ability to harvest and analyze both traditional and new data intelligently. To be a winner in the future, it is critical for insurers to build tailor-made solutions and to do so by leveraging data in a new way. Where will the “new data” come from? Few insurance companies, if any, would have the data available in-house that would be necessary to address the question of what the risk-adequate premium might be for new exposures. Most of the new data will have to come from sources outside of the insurance industry. This requires significant human capital, both to acquire the right data and to develop insights from that data. The good news is that insurance companies don’t have to do it alone. For those insurers that don’t have the resources, insurtech companies, reinsurers and other business partners can provide value by building data capabilities and offering services to help insurance carriers better understand and interpret data to help with risk assessment and pricing. Technology can be a tremendous enabler when it comes to improving the customer experience. Consider how individuals and small business owners typically purchase insurance coverage, submit a claim or make a payment. Going forward, these functions must all be easily executable on a mobile device. People demand ease of doing business, and they want it 24/7/365. Technology can help the industry meet the needs of the new customer experience. So, it is no surprise that many carriers in the personal lines and small commercial lines space are trying to digitize the underwriting, pricing and claims process as much as possible. While many business coverages are just too complex to forgo the expertise of an agent or broker, individuals and small business owners increasingly expect to be able to purchase policies online with the swipe of a finger or click of a mouse. Automating this segment of the insurance business is about improving customer service, but it’s also about the ability to offer customers the products they need at more attractive prices. Insurance carriers can partner with insurtech companies and their reinsurers to find ways to help improve the customer experience and to offer personal and commercial lines coverages that meet the new exposures they are facing. Investment in insurtech appears to be moving toward optimizing and modernizing traditional insurance distribution rather than completely disrupting the industry. Insurtech companies have come to recognize that the insurance industry is too regulated and too complicated to go at it alone; they need insurance partners to help them succeed. 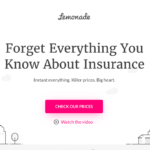 Today, startups are more dedicated to helping insurance companies optimize their capabilities. They are focused on developing symbiotic relationships with the insurance industry. They’re focused on convergence—coming together with insurance companies. And reinsurers with their vast reach can often function as valuable facilitators, bringing the right solution providers in contact with the insurance carrier in need of assistance. The benefits of joining forces with insurtechs is obvious: It increases co-development opportunities by bringing in different perspectives, more data, more people and more digital expertise. Partnering with the insurtech most suitable to address an insurance carriers’ needs and pain-points can result in a true win-win for the insurance industry as well as insurtech companies. This industry has always been about change—from insuring wooden ships laden with spices crossing treacherous oceans to autonomous vehicles. Those insurers that are ready to use technology and digitalization to provide solutions to a world of new risks will be the ones that succeed over the long term. This article was originally published by Carrier Management. Hochburger, CPCU, is Senior Vice President and Client Executive, Reinsurance Division Munich Reinsurance America Inc. In this role he manages a team of client managers serving a significant number of Munich Re clients and holds the profitability and loss responsibility for the portfolio under his management. Hochburger can be reached at SHochburger@munichreamerica.com.